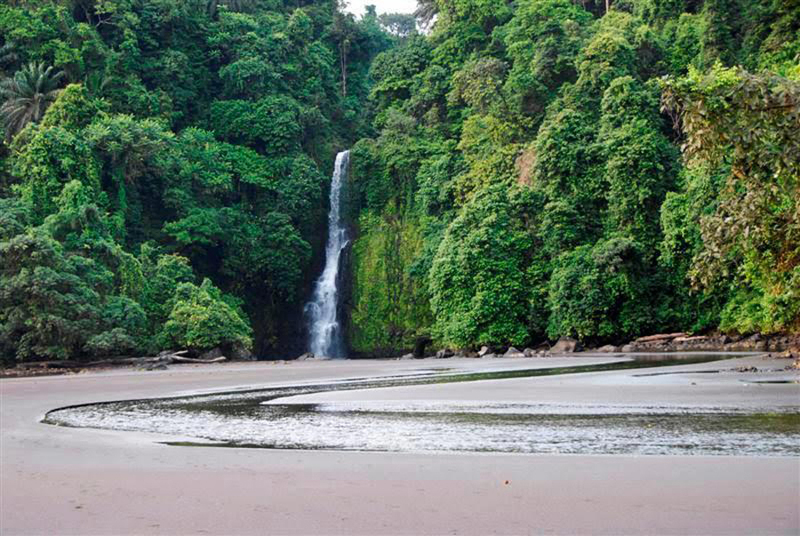 Landmarks in Equatorial Guinea are among the most preferred by avid travelers who love nature and especially those countries that are located on the equator. 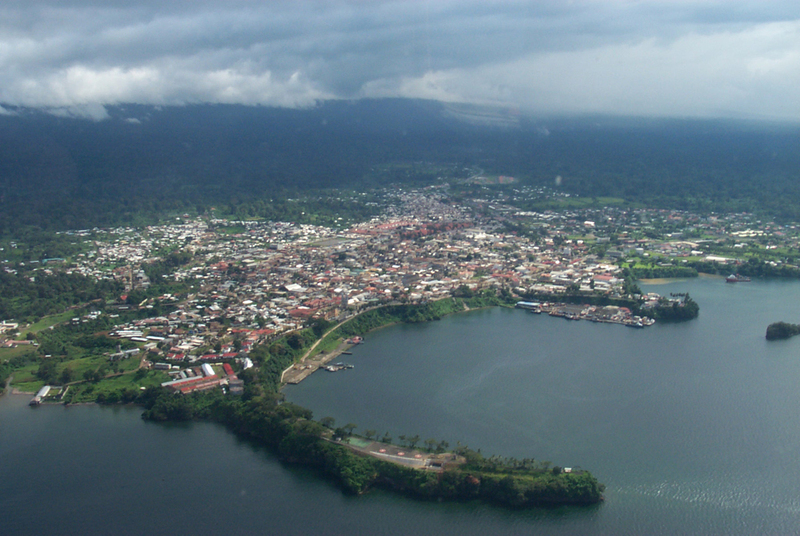 Interesting fact about the Equatorial Guinea capital Malabo that is not in the mainland and the island of Bioko. The low topography and dense equatorial forests in the mainland are very well preserved, with the exception of the animal world that is threatened by poachers. 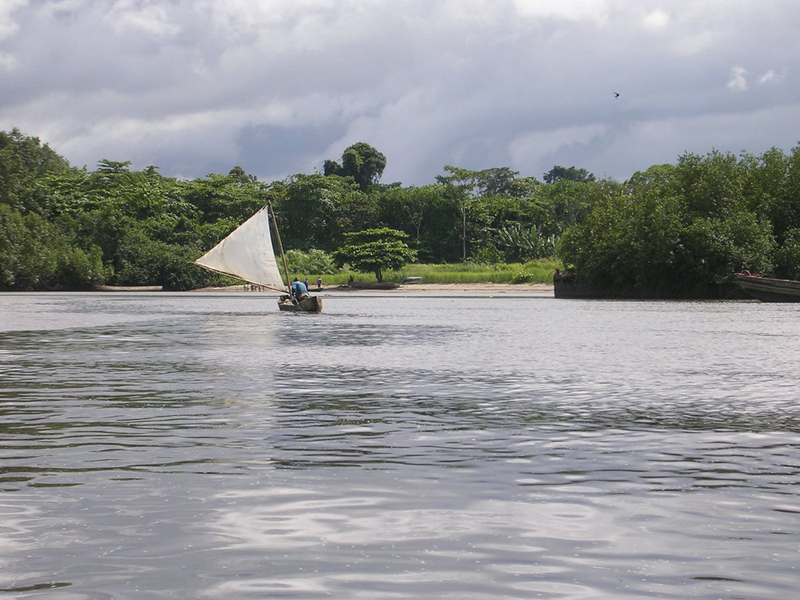 Is radically different landscape on the island of Bioko. It is of volcanic origin, with large numbers of crater lakes and towering up to 3000 meters extinct volcano Pico de Basile. 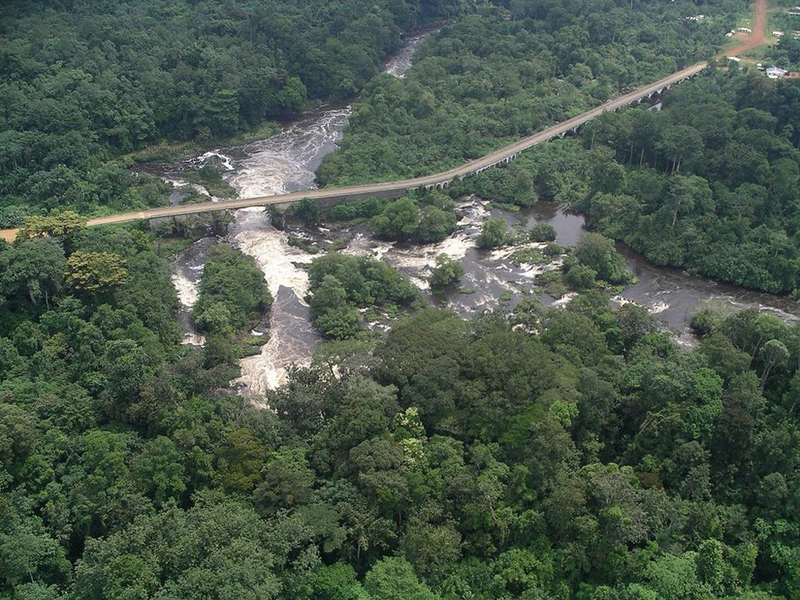 We start a walk through the natural landmark in Equatorial Guinea - National Park Monte Alen. 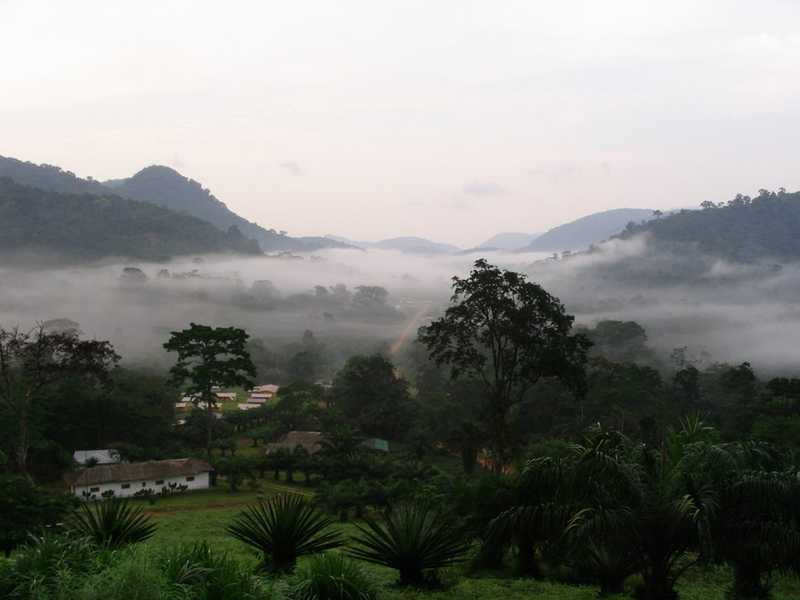 Very well preserved protected area in central West Africa covers an area of 1400 sq.km. River runs through the park Rio Muni. In the dense forests there are light and comfortable to walk green trails. There are specially designed areas for camping with tents. Do not be afraid if you wake up early morning cries of mountain gorillas and chimpanzees. 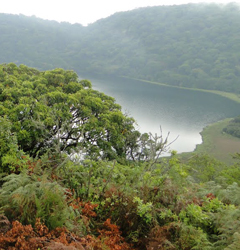 Stock up on fresh water and dry clothes, because you will need for a long walk in the National Park Monte Alen. 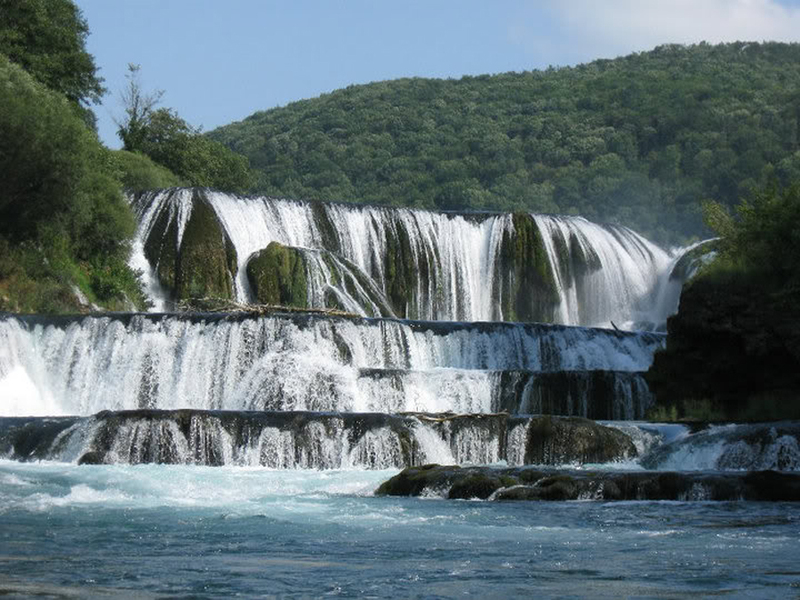 Great are several waterfalls on the river Mbini. Biben Falls - 50 m level in the lower reaches of the river Mbini, Bonsoc Falls - several waterfalls scattered to a distance of 800 meters, barely noticed by plane and are inaccessible by land. 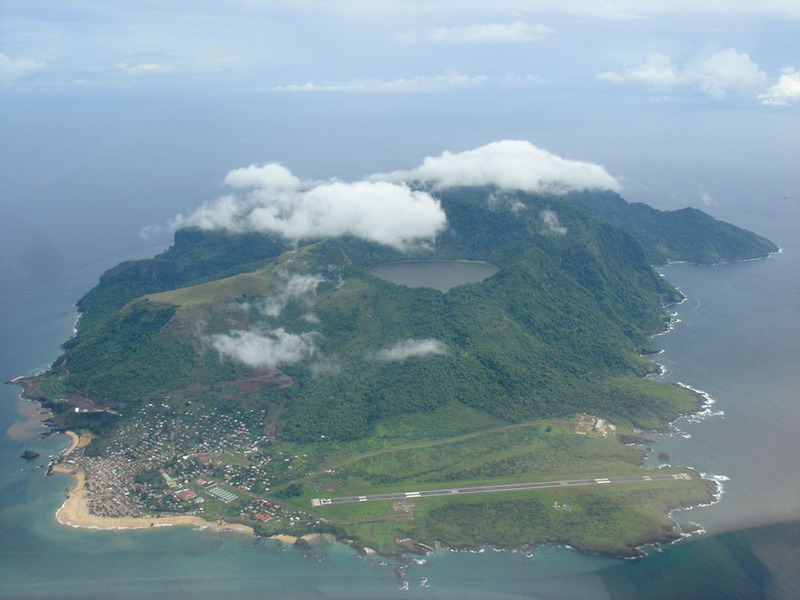 The only option to make beautiful pictures of nature in Equatorial Guinea from an airplane or helicopter. Mosumo Falls - River Falls wide Mbini. 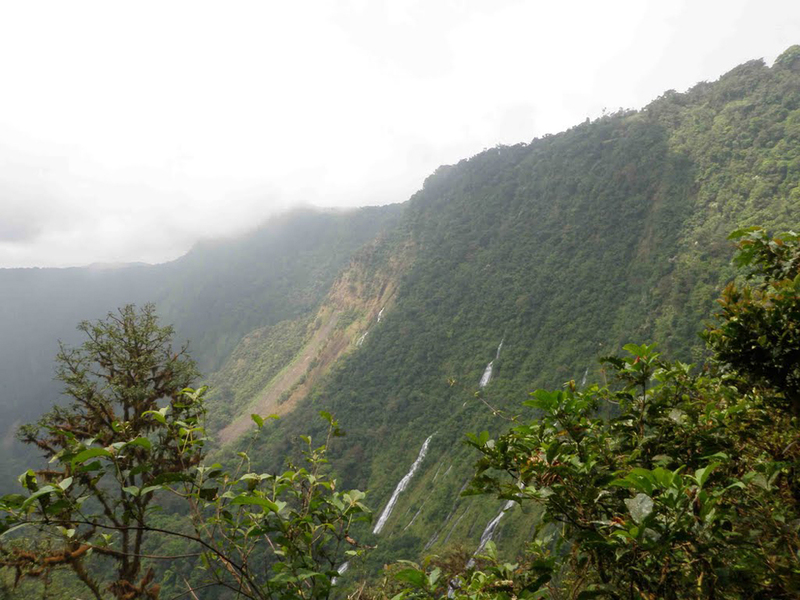 Iladyi Cascades or also known as Moka Falls, because near the crater lake on the island of Bioko. Water flows down the slope of the crater from the outside, falling from a height of 250 meters. 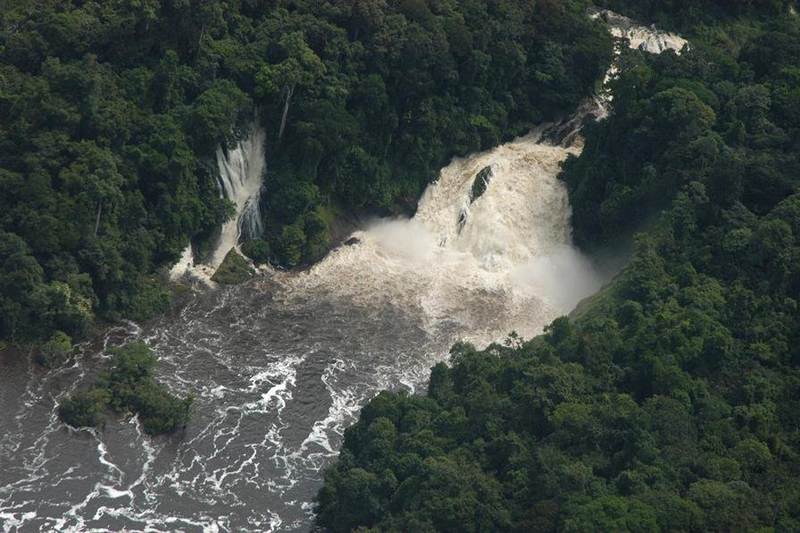 Humid climate and the daily rains make this group of waterfalls relatively deep. Other interesting landmarks in Equatorial Guinea are the caves, accidentally discovered and explored in 1962. These are granite cave Caracas Cave and limestone cave Bantabare Caves. 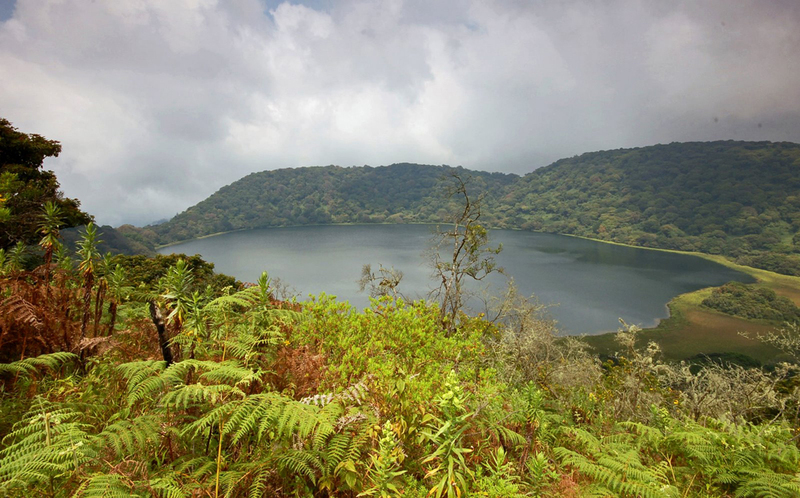 Luba Crater - located on the island of Bioko. Planted with dense jungle, difficult to access for the most part. This free live primates, birds and several endemic species of plants and animals. Luba Crater diameter is 5 km. Historical and cultural attractions in Equatorial Guinea can mention only in the city of Bata Church Litoral - Baroque cathedral with two parallel towers built for pilgrims in the 17th century. Batete Church in Bioko - well-preserved wooden church with characteristic decoration both inside and outside. Malabo Santa Isabel Cathedral - neo-Gothic cathedral with a typical 40 m high tower. Ornate Mongomo Basilica, a bit like St. Peter's Basilica in Rome. Finally ending with the unique suspension bridge Punta Europa Terminal, which surrounds part of the coast, going into the sea to not affect the nature in the area.